Members of the Church of Jesus Christ of Latter-day Saints are often asked what makes our religion so different from all other Christian faiths. The most noticeable difference is that we believe in living prophets to guide us. 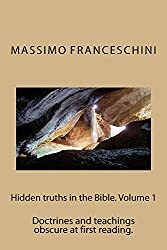 By way of contrast, almost all other Christian churches depend entirely on what is written in the Bible to give them understanding of God and His ways. And it is precisely because of this exclusive reliance on the words of the Bible that most Christians have trouble understanding why anyone would rather put their trust in a man instead of in God’s written word. When we couple this with the fact that almost all Christian faiths teach that God no longer speaks to man through the use of prophets, it’s clear to see why no other denomination except the LDS church even talks much about prophets. As a result of this lack of education, most Christians have little understanding of the role prophet’s play in the Lord’s work or it’s importance. Therefore, let’s take a closer look at what a prophet is and how they fit into God’s plan for mankind. The Bible specifically identifies twenty-nine people as being a prophet, however, there are many others not mentioned by name. For example, the scriptures talk about large groups of “prophets” (1 Sam. 10:5, 1 Kings 22:12, 2 Kings 17:13). In one case, the prophet Obadiah hid 100 prophets in a cave to keep them from being murdered by the king (1 King 18:4). In another instance “the king of Israel gathered the prophets together, about four hundred men, and said unto them, Shall I go against Ramoth-gilead to battle, or shall I forebare?” (1 Kings 22:6). A prophet can come from any kind of background. Abraham is referred to in the scriptures as a prophet (Gen 20:7) and he was a sheepherder, as was the prophet Amos. Moses was a prophet (Deut 34:10) and he came from a royal upbringing. The prophet Samuel was raised by the High Priest of the temple, the prophet Isaiah was an advisor to four kings, the prophet Jeremiah was a priest and the prophet Daniel (Mtt. 24:12) began his work as a captive slave, as did the prophet Ezekiel. According to what we read in the Bible, the most common way in which God revealed His will to mankind was through ordinary men known as prophets. The scriptures frequently refers to them as being “servants of God” because they were acting under direct orders from Him to deliver His message. In other words, God would tell them what He wanted the general public to know, and they, in turn, conveyed to the rest of mankind what God had told them. As such, the prophets were acting as messengers from God. Therefore, the way people knew what God wanted them to do was to listen to what the prophets told them. Prophets most often received their instructions from God through visions. However, there were other times when the word of the Lord would come directly to them. Sometimes the message was delivered by God Himself, and other times it was given by an angel of God. The important thing to remember is that prophets weren’t just teachers or preachers. Thy were specially chosen and commissioned by God Himself to reveal His will to mankind. They were not appointed to their position by the people they taught, nor did they assume this authority by any action they themselves took. The prophetic calling they received was given to them by God as a divine gift. They never sought it nor did they anticipate it. In almost every case, the calling to act as a messenger for God came as a complete surprise to them. The bestowal of this gift was not something which brought the recipient much praise or honor during their lifetime. In many instances those who were called to serve as prophets were required to endure severe persecution for proclaiming their message, often including forfeiting their own life. When Moses was first called, he tried to talk God out of using him (Exodus 4:1). The prophet Jonah tried to run away rather than deliver the message God required of him. As shown earlier, the role of a prophet was “to correct moral and religious abuses, to proclaim the great moral and religious truths which are connected with the character of God, and which lie at the foundation of his government.” Although a teacher or preacher can perform this same task, and do it under inspiration of the Holy Ghost, they are merely repeating or restating what God has already revealed to the prophets. More than that, they are acting according to their own motivation. A prophet, on the other hand, not only has the ability to give new revelation from God as well as retell what other prophets have previously said, but they are doing so under the direct command of God. Therefore, even when they do reaffirm what has already been stated, the difference between them and a preacher is that they are acting as God’s spokesmen, rather than speaking according to their own incentive. However, the prophets didn’t limit their pronouncements to just religious matters. As has already been pointed out by Christian commentators, “they addressed themselves to the political, social and religious conditions among which they lived.” There were times when the Israelite kings sought political and military advise from prophets. There were times when economic and foreign relations advise was given by the prophets. Whether it was theological religious matters, important political matters, or common, practical matters, the role of the prophet was always to provide people with what the Lord would have them do. Because of the very nature of their calling, prophets spoke and wrote to those who lived during their own lifetime. Their message was for the people of their day. Even when they foretold of future events, it was for the benefit of those living at that point in time rather than for future generations. However, since God always states the truth, and truth doesn’t change, what a prophet says to one generation is equally as valid and useful to anyone, regardless of what time period they live in. That is why we still read and study the words of ancient prophets who have been dead for more than two centuries. But, that doesn’t change the fact that what the prophets said was meant specifically for the people living at the time it was given. Take the example of Isaiah. At the beginning of his ministry, the nation of Israel had fallen into apostasy. Although they professed a belief in the one true God, they lived their lives as the heathens did. Because of this, Isaiah was sent by the Lord to call the people to repent of their wickedness and to warn them that God would not allow them to continue their blasphemous behavior much longer. This message wasn’t new, but it was something the Israelites needed to be reminded of at that point in time. Isaiah addressed the current faddish clothing of his day when he wrote, “Moreover the Lord saith, Because the daughters of Zion are haughty, and walk with stretched forth necks and wanton eyes, walking and mincing as they go, making a tinkling with their feet, therefore the Lord will smite with a scab the crown of the head of the daughters of Zion, and the Lord will reveal their secret ways. In that day the Lord will take away the bravery of their tinkling ornaments about their feet, and their cauls, and their round tires like the moon, the chains, and the bracelets, and the mufflers, and the bonnets, and the ornaments of the legs, and the headbands, and the tablets, and the earrings, the rings and nose jewels, the changeable suits of apparel and the mantles, and the wimples, and the crisping pins, the glasses, and the fine linen, and the hoods and the vails,” (Isaiah 3:16-23). Although we can still apply what Isaiah wrote to our situation today, the fact still remains that he wasn’t writing to us. He was writing to his people who were living during his time, to condemn their behavior and to warn them what would happen to them if they failed to heed his admonision. The Lord told Ezekiel, “I have set thee a [to be] a watchman unto the house of Israel; therefore thou shalt hear the word of my mouth and warn them from me. When I say unto the wicked, O wicked man, thou shalt surely die; if thou does not speak to warn the wicked from his ways that wicked man shall die in his iniquity; but his blood will I require at thine hand” (Ezekiel 33:7,8). Ezekiel was called to be a watchmen over the Israelites, not us! Although the things which Ezekiel said to the Israelites about their sins still applies to us today, nevertheless, he was specifically told to warn his people who were living during his time. And the same can be said for all the other prophets whom God called. What is even more interesting about this call of Ezekiel is that the Jews already had the written law of Moses and the written words of all the former prophets. In fact, God had even recently sent the prophets Isaiah, Jeremiah, Obediah, Zephaniah, and Micah to warn the people to repent prior to their being taken captive by the Babylonians. With all of these words to rely on to give them guidance, why did God need to call Ezekiel to go forth among the Jews to warn them again to repent? Why didn’t God just let them depend on what He had already told them many times before? The answer is, because that’s not how God guides His people. The pattern we see in the Old Testament is that God called prophets to teach, expound, counsel, exhort, admonish and warn His people in every generation. He didn’t just give them His law through Moses and then let the people rely on the written words of God to guide them. Instead, God guided them through living prophets. That is why the prophet Amos wrote, “Surely the Lord God does nothing unless He reveals His secret counsel to His servants the prophets” (Amos 3:7, New American Standard Bible, see Gen. 6:13, 18:17, Jer. 23:22, Daniel 9:22, ). It is abundantly clear from what the Bible itself says that there is no distinction between what the written law says and what the living prophets say. The two are synonymous with each other. In other words, what the prophets said was just as much the law as what was written. And it was for this reason that what the prophets said was written down and revered as much as the law of Moses. If, in ancient times, the Lord sent us His laws and commandments by way of His servants, the prophets, the question we need to ask ourselves is, why is that not also true today? A partial answer to that question is that there have been times when God has deliberately withheld His word from the people by not sending them prophets to guide them. But whenever that did happen, even though they already had the written words of previous prophets, without the direction and supervision that living prophets provided, the people quickly adopted false and erroneous beliefs which then led them away from God. In 1 Samuel. 3:1 we read, “And the word of the LORD was precious in those days; there was no open vision.” As pointed out earlier, most of the prophets received their instructions from God through visions. The Psalmist wrote, “Where there is no vision, the people perish” (Proverbs. 39:18 ). If what Moses, Isaiah, and Ezekiel told their people is just as true for us today, then what the Psalmist wrote more than three centuries ago must likewise be just as true for us in our day. Without living prophets who receive the word of the Lord through visions or other means, we too must perish, spiritually. Isaiah explained this when he wrote, “For the LORD hath poured out upon you the spirit of deep sleep, and hath closed your eyes: the prophets and your rulers, the seers hath he covered” (Isaiah. 29:10). The prophets and seers are our eyes. They see things we can’t. Without living prophets to proclaim the word of the Lord to us, it’s as though we are going through life without any spiritual eyes. After the prophet Malachi died, it was 400 years later before the nation of Israel received another living prophet. In the days of Herod the King, there was a priest of the order of Abdia by the name of Zecharias. While “he executed the priest’s office before God in the order of his course... there appeared unto him an angel of the Lord standing on the right side of the altar of incense.” The angel told him that he would have a son, and that the child’s name was to be called John. As a sign that this was from God, Zecharias was struck dumb. “And when he came out, he could not speak unto them: and they perceived that he had seen a vision in the temple” (Luke 1:8,11, 22). This same John became, what the Lord Jesus Christ Himself described as the greatest prophet born of woman (Luke 7:28). It needs to be noted, that even though Zecharias had seen a vision, and, a little later, so did both Mary and Joseph, none of these people can be considered as prophets. We can receive visions, have the Lord speak directly to us, or guide us through His Holy Spirit, but that is not the same as being a prophet. The definition of a prophet is someone who has been specifically chosen and called by God to speak to the world as His spokesman. From the time of Malachi to John the Baptist, the Lord had not sent any prophets to the house of Israel, and history, as well as the Bible, records what happened because of that. At the time Jesus lived upon the earth, the Jewish religion had become divided into several competing sects, or denominations. The most predominate of them were the Pharisees and the Sadducees, however, there were several other lesser denominations which also taught their own version of the Jewish faith. Yet, not withstanding their preeminence, the Pharisees were repeatedly rebuked by Jesus for failing to understand and correctly teach what was in the written word of God. 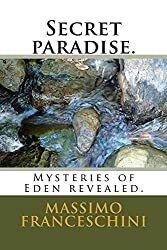 Even though they had the scriptures of all the prophets from Moses to Malachi, and, even considering that the Jews had become scrupulous in their endeavor to live by it’s wisdom, still, we see that without any living prophets to guide them, the entire Jewish nation had fallen into teaching false doctrine by the time Jesus was born. Jesus Himself is identified in the scriptures as a prophet (John 6:14). After His resurrection, but before His final ascension into heaven, Jesus told His apostles, “Go ye therefore, and teach all nations, baptizing them in the name of the Father, and of the Son, and of the Holy Ghost; teaching them to observe all things whatsoever I have commanded you” (Matthew 28:19,20). These eleven men, known as apostles, were specifically chosen and called to be God’s spokesmen to the world. As Christians, that is what we believe about the apostles. 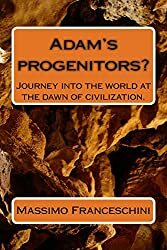 Even though we might not formally refer to them by the title of “prophet,” yet that is the role they played in the early Christian church. There are some Christian churches today who teach that Jesus was the last prophet, but that is contrary to what the Bible itself states. Jesus Himself told the scribes and Pharisees, “Wherefore, behold, I send unto you prophets, and wise men, and scribes: and some of them ye shall kill and crucify; and some of them shall ye scourge in your synagogues, and persecute them from city to city” (Matt. 23:29 -34). How can He send prophets which the scribes and Pharisees will kill if Jesus is the last prophet? In explaining the organizational make-up of the church, Paul wrote, “And God hath set some in the church, first apostles, secondarily prophets, thirdly teachers. Are all apostles? are all prophets? are all teachers? are all workers of miracles?” (1 Cor. 12:28). “And he gave some, apostles; and some prophets; and some evangelists; and some pastors and teachers” (Eph 4:11). And what was the purpose of these positions in the church? Paul explained in the next verse, “for the perfecting of the saints, for the edifying of the body of Christ, till we all come in the unity of the faith, and of the knowledge of the Son of God” (verse 12,13, emphasis added). We have already seen how the Jews corrupted the teachings of the scriptures because they didn’t have the guidance of living prophets. Paul told the saints of his day that apostles and prophets were needed in the church to help them become united in the faith, not divided into different religious sects as the Jewish people had become. If the words which Paul wrote to the people of his time are true, then they must also be true for us today as well. However, there are some Christians who think that Paul was referring to the dead prophets of the Old Testament when he made these comments. Yet. the Bible tells us that after Christ had ascended into heaven, there “came prophets from Jerusalem unto Antioch” (Acts 11:27). “Now there were in the church that was at Antioch certain prophets” (Acts 13:1). “And Judas and Silas, being prophets also themselves, exhorted the brethren with many words, and confirmed them ”(Acts 15:32). “And as we tarried there many days there came down from Judea a certain prophet named Agabus. And when he was come unto us, he took Paul’s girdle and bound his own hands and feet and said, Thus saith the Holy Ghost, So shall the Jews at Jerusalem bind the man that owneth this girdle” (Acts 21:10-11). When writing to the saints at Corinth Paul counseled them, “Let the prophets speak two or three, and let the other judge” (1 Corinthians 14:29). In all of these verses of scripture, it’s absolutely clear they are talking about living prophets, not dead ones. Like the prophets of old, the early Christian prophets had visions and directly received the word of the Lord for the guidance of their people. Peter had a vision that was the basis for allowing the gospel to be preached to the Gentiles (Acts 10:9-11, 15:7). John had a vision where the Lord gave instruction to seven churches in Asia (Revelation 1:11). Paul not only had a vision on the way to Damascus, but he had several other visions as well that gave him the justification for the things he taught (Acts 16:9, 23:11, 27:23, 2 Corinthians 12:1, Galatians 1:12). Although some people try to deny the existence of living prophets after the time of Christ, it is a historical fact that the early Christian church had them as part of their organization. Then why don’t modern-day Christians churches have living prophets as part of their organization? The answer given is that prophets ceased to be needed after the apostles died. They claim that God has finished telling us all He has to say, and that everything we need to know can be found in His written word as contained in the Bible. Yet, in the book of Revelation we read that in the last days God will send two prophets (also referred to as witnesses) who will “prophesy a thousand two hundred and threescore days” (Revelation 11:3-10). If God has already told us all that He has to say, then why would He send two more prophets to prophesy for three and half years? The argument that we no longer need prophets because we have the Bible shows a lack of understanding of the role of prophets. Most frequently, prophets don’t tell us anything new. The fact that they tell us things we’ve already been told before doesn’t do away with the need for them. Their duty is to remind us of what God has already said, not necessarily to give us more of God’s word. Their responsibility is to keep us on the path of righteousness and help us become united in our beliefs. And their function doesn’t just extend to religious matters, but also includes telling us the will of the Lord even in secular affairs. Do we need prophets today? Christianity has been around for nearly two thousand years, and yet, in all that time, rather than us having a greater unity of the faith as Paul exhorted, there are over two thousand different Christian denominations today, all of them professing to believe in the Bible as their only source of understanding God’s will. The disunity among Christians is far more extensive today than it ever was among the Jews at the time of Christ. In addition to the religious debates among Christians, we struggle with the social problems of abortion, domestic violence, elderly health care, the question of euthanasia, and the specter of genetic engineering. We are plagued by such economic problems as poverty, homelessness, rising consumer debt and the increasing rate of bankruptcy. We struggle to solve such cultural problems as divorce, race relationships, homosexuality, environmental concerns, terrorism and nuclear war. And besides all of these, we also struggle to find ways to cope with our widespread political problems, both in our country and in other governments throughout the world. Although many Christians churches have sought to address these problems, there is no unity of agreement among them as to their solution. If there ever was a time when we needed to know with certainty the mind and will of the Lord, it is today. Yet, despite all the modern-day problems we face, nearly every Christian faith still strongly maintains that we don’t need God to speak to us anymore, simply because we already have His word as contained in the Bible. But there is one church today that not only believes in living prophets, but is lead by one. In 1820 a young boy named Joseph Smith saw God in a vision, much like Saul of Tarsus did. Like the prophets of old, he was called by God to proclaim the mind and will of the Lord to the world, and it was under divine commandment that he organized The Church of Jesus Christ of Latter-day Saints. The succeeding presidents of this church are likewise prophets of the Lord. However, they don’t proclaim this honor by their own authority, nor were they voted into this position by the members of their church. They were called and chosen by God Himself to be His spokesman. Those who do not believe in the need for living prophets often quote Mark 13:22 to justify their opinion. This verse states that in the last days, “false Christ and false prophets shall rise, and shall shew signs and wonders, to seduce, if it were possible, even the elect.” It is because of this and similar scriptures that many Christians contend that anyone who claims to be a prophet must be a false one. Yet, as we have already seen, Jesus Himself said He would send prophets in His name, and that they would be persecuted and killed, just like the prophets of old were (Matt. 23:29 -34). And indeed, for almost 70 years after the death of Christ, the Christian church did have living prophets sent by God, and they were persecuted and slain, just as Jesus foretold. Therefore, the real question we need to ask ourselves is, how do we discern between those who are false prophets and those who truly do speak in the name of the Lord?